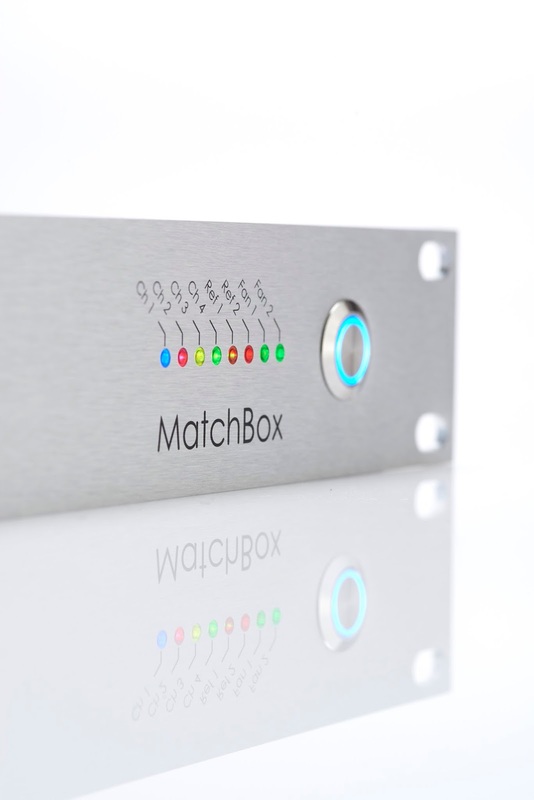 John Hope, Senior Manager in Broadcast Engineering at Dolby Laboratories Wootton Bassett, UK gives an honest review of Hitomi and their product “MatchBox” this month. 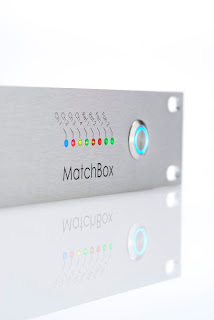 MatchBox is a complete line-up tool kit with state-of-the-art measurement of lip synchronisation, audio coherence & levels, phase inversion detection and video timing in seconds. The system features a fully-fledged test pattern generator with audio and video line identification. It boasts 16 channels of audio and multi-standard support of SD, HD and quad-link 4K video. Here’s what John had to say about it …. “At Dolby we often need to measure audio-video sync on experimental AC-4 broadcast workflows we are setting up in our labs. Another essential measurement is inter-channel delay between channels of a multi-channel audio program, since differential delays produce comb filtering that results in spectral notches in a stereo or mono down mix of such programs. Dolby’s License partners that manufacture SDI processing equipment, transmission encoders and consumer receivers are required to meet specific criteria for audio-video sync and inter-channel audio delay. Dolby’s trademark agreement mandates these tests and we double check the results on examples of the partner equipment in our labs at Wootton Bassett or San Francisco. Until recently the equipment available to do such audio-video delay measurements has been very limited, ranging from limited functionality ‘pip and flash’ systems that capture the reproduced audio by microphone, to advanced DSP-based real time lip synchronisation measurement systems that are beyond the financial means of many smaller companies. The proliferation of 3G-SDI in both level A and level B at up to 60 fps, and the advent of high frame rate 4K video formats means that products must support these formats to be future-proof. High resolution technology is moving so rapidly that designers today don’t have the luxury of waiting until a new format becomes entrenched – they have to take a judicious punt on whether the industry will adopt it as soon as they see it emerge. Hitomi Broadcast originally approached Dolby with a view to becoming a licensee, with the intention of incorporating Dolby codecs into their MatchBox product at some point in the future. During our discussions it became clear that MatchBox would find considerable utility, both within Dolby and at our license partners. I asked for a demo, Hitomi came, I saw, and I ordered. MatchBox supports all SDI video formats in use today, with 4K support to be released at IBC 2016. It measures audio and video delays to fractional sample accuracy, detects transposition of channels, shows phase inversion of any channel, and can add channel idents to the BLITS or GLITS test tones it generates. The user interface is intuitive but needs some experience to correctly interpret the displays. Once you get the hang of it, the logic becomes clear. Best of all, MatchBox features a speech synthesizer that renders typed text of the idents into spoken English. Needless to say, I played with this feature for hours, getting the synthesizer to render channel idents in all kinds of foolish words, hours of fun but also extremely useful! Dolby UK uses the MatchBox for end-to-end audio and video delay measurements of the reference AC-4 broadcast chains my team is presently deploying in Europe for trials, as well as for general partner product evaluation. The upcoming release of AES I/O support of the MatchBox will broaden our deployment of the device and eliminate other equipment with unquantified and sometimes variable delay characteristics – such as embedders and de-embedders – from the measurement chain. Hitomi has been very receptive of our suggestions of new features and they have been supportive and pro-active in coaching us on use of the equipment. Hitomi's name means "pupil of the eye" in Japanese and it can also mean "wisdom, intellect" (hito) and "beautiful" (mi). Hitomi Broadcast was founded by two masterminds who bring with them many decades of experience in the industry from a number of major broadcast manufacturers. The company is operated from Slough in Berkshire, UK and is dedicated to helping customers achieve exceptional live broadcasts, effortlessly. Hitomi’s technology is now integrated into numerous systems worldwide and is used for a multitude of high caliber events and productions.